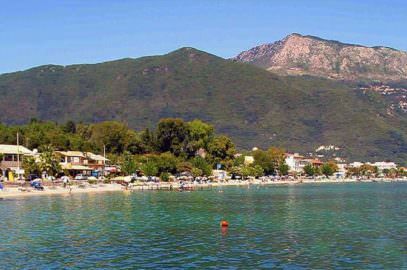 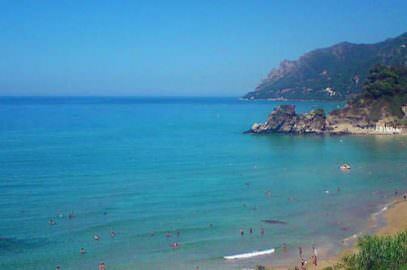 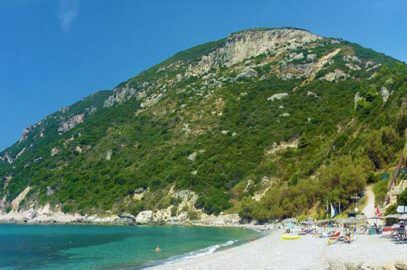 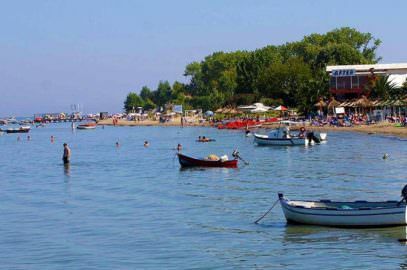 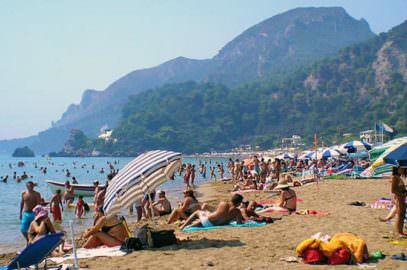 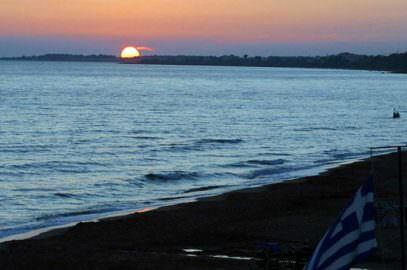 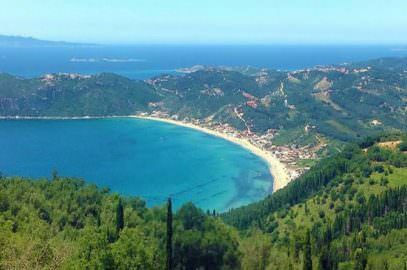 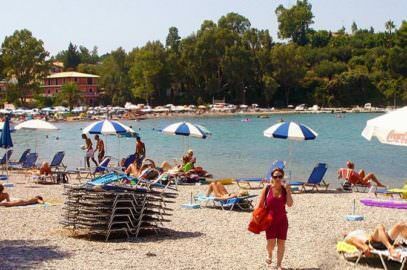 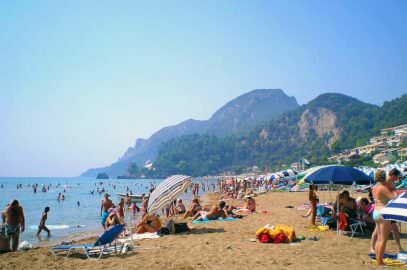 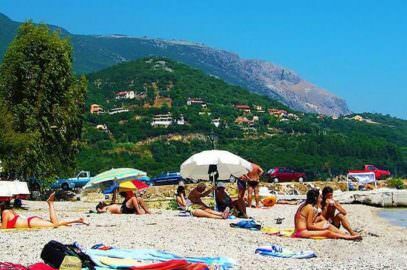 Halikounas beach may not be the most beautiful, after all this is relative and according to everyone`s tastes, but it is definitely the largest beach in Corfu. 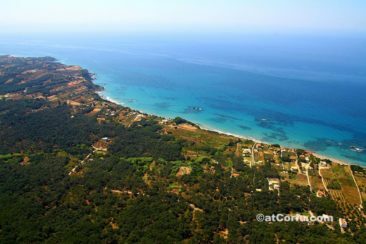 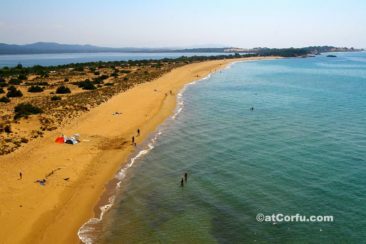 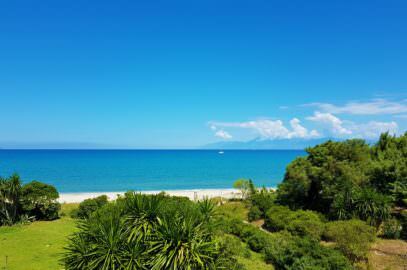 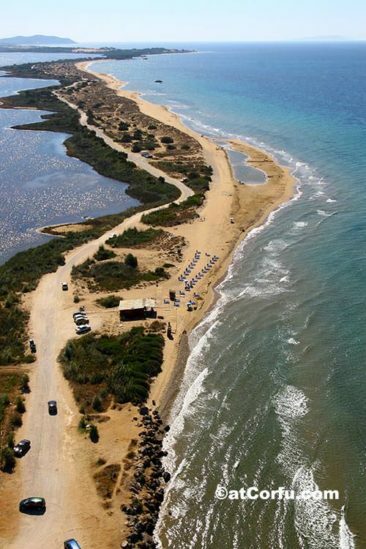 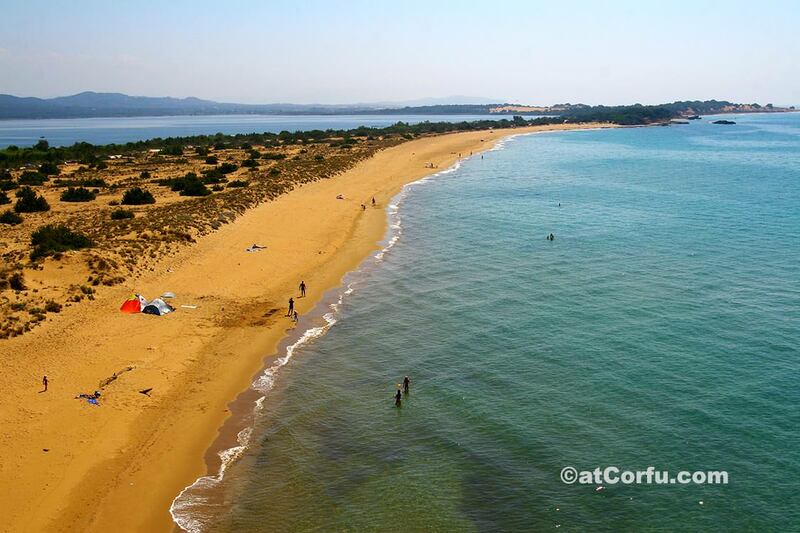 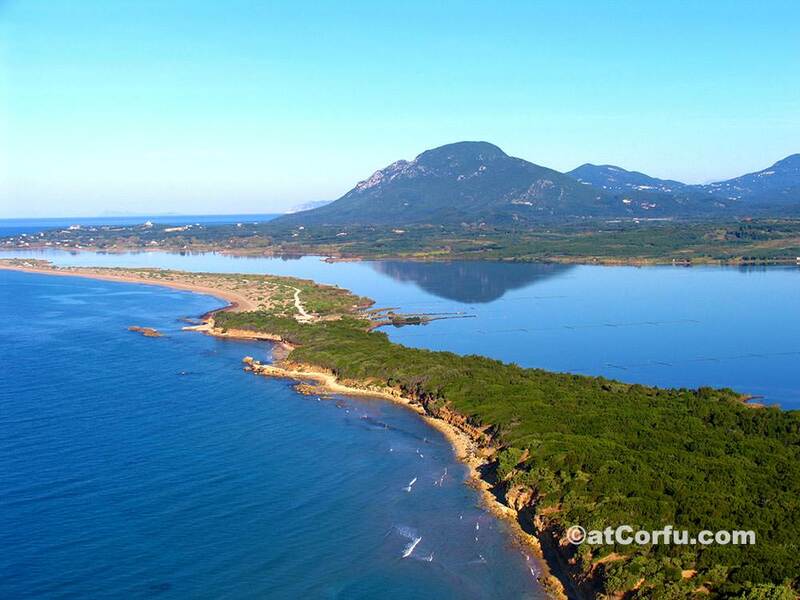 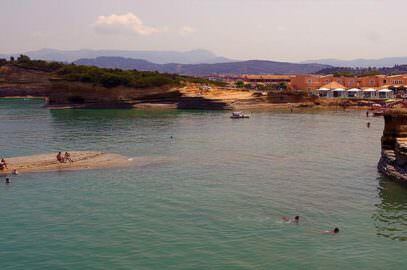 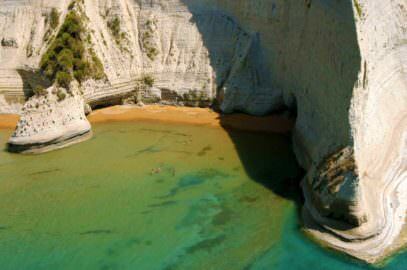 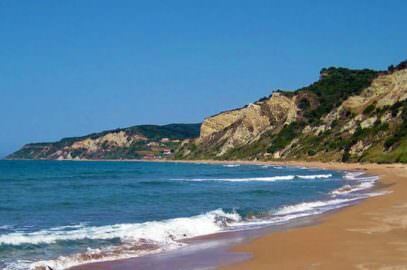 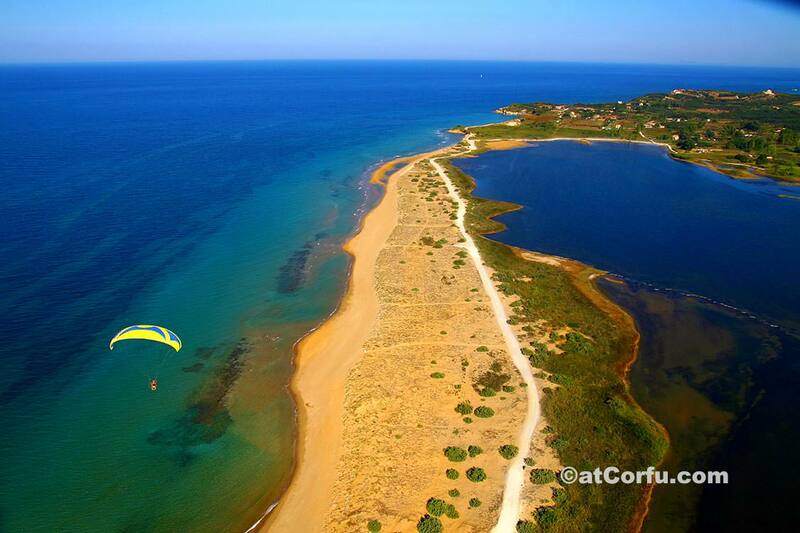 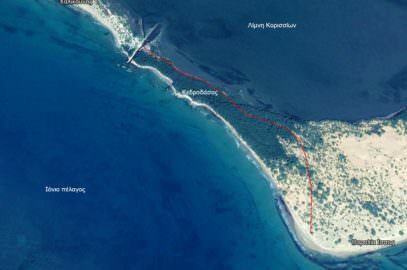 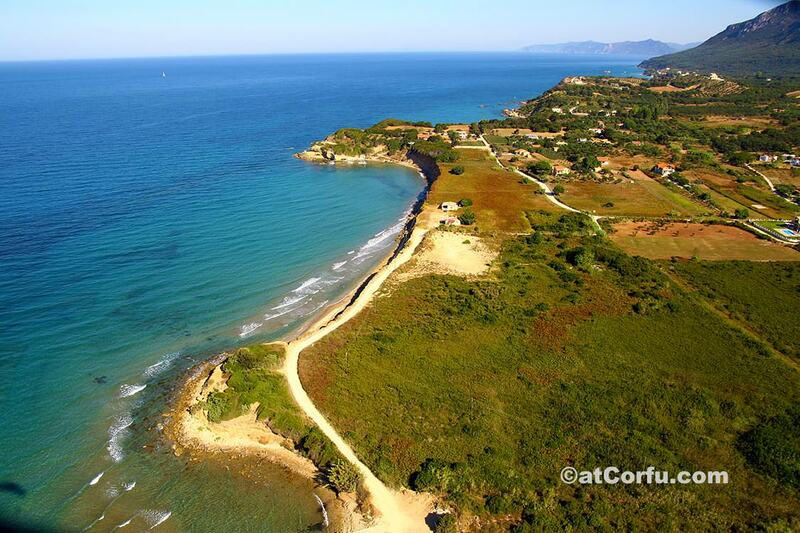 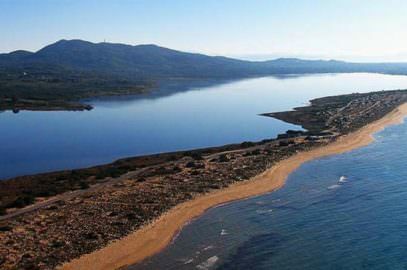 A strip of sand in southwestern Corfu stretches for several kilometers between the open sea of ​​the northern Ionian sea and the Lake of Korission, in some spots it tends to thin and in others it becomes quite wide. 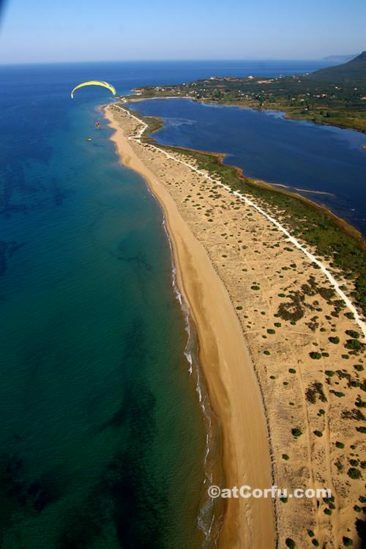 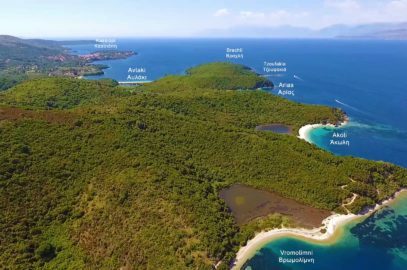 Halikounas beach is enormous, endless, with variations in the landscape, with a forest, a lagoon behind the sand dunes, and above all it is pristine – no hotels or uncontrolled tourist development. 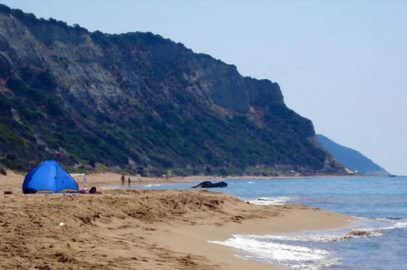 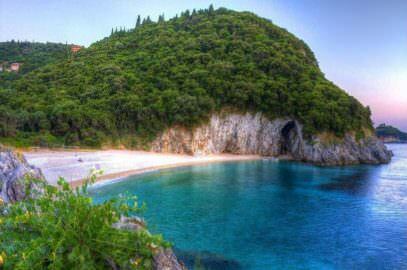 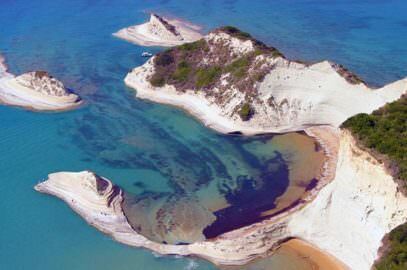 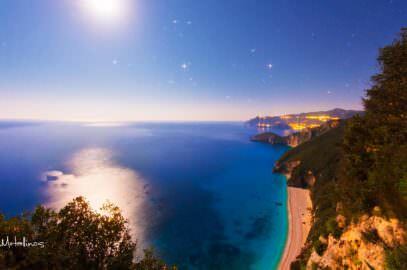 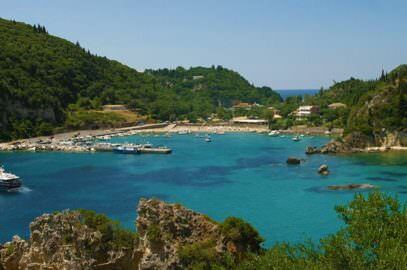 This part of the island looks like the Sahara desert in Corfu. 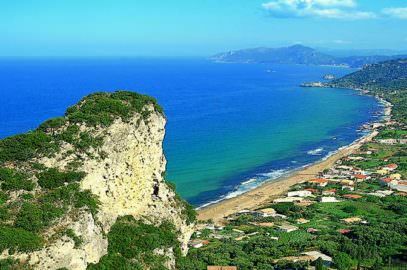 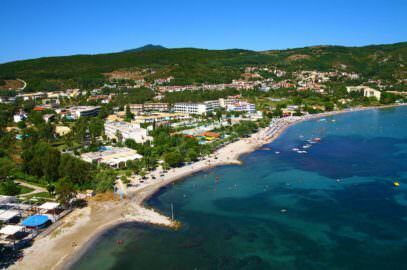 It is located in southwest Corfu near the village of Agios Mattheos of which is a part, and in distance of about 20 miles from the airport. 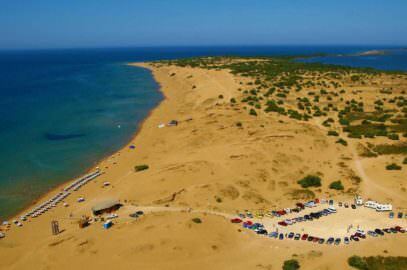 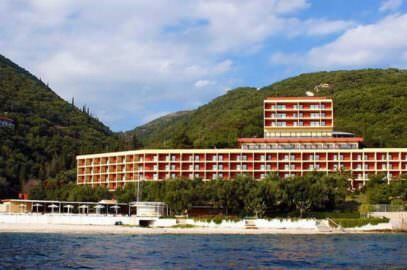 It has brown fine golden sand and permanent waves, perfect for sailing and water sports. 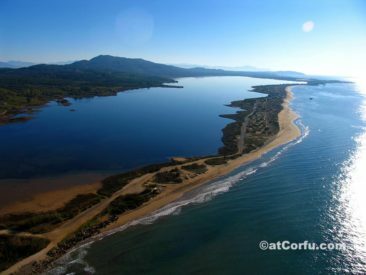 Because of the Korission lagoon, it is a protected nature area, it has no hotels or restaurants, there is a canteen in the middle of the beach but for those who want to spend some unforgettable hours there is better to bring with them all they need. 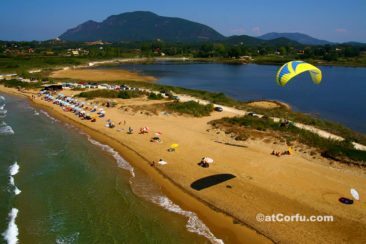 It is a beach that caters to adventure enthusiasts, those who love sailing, surfing and are not bothered by winds and waves. 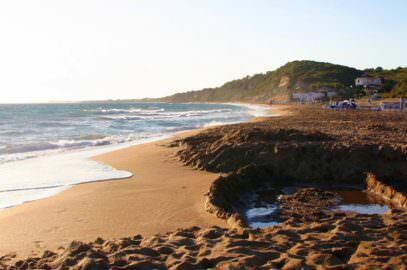 Adventure can occur all of a sudden even on the bumpy alley that runs alongside and behind the beach, for example your car can stuck in the sand. 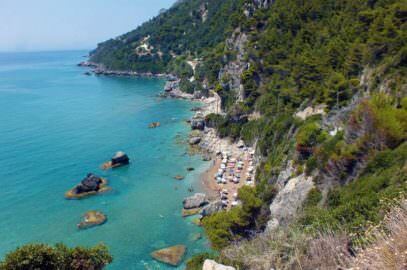 It has happened to us many years ago, but we managed to get out of it by using rocks under the wheels, rocks that happily are not missing. 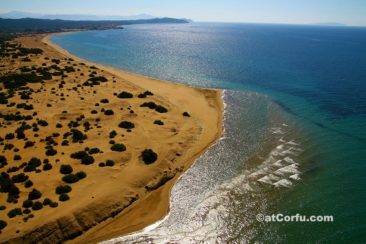 The landscape is wild, virgin and does not look like the rest of Corfu, it is like a desert on the most fertile island of Greece, there are cactus and dunes reminiscent of Sahara. 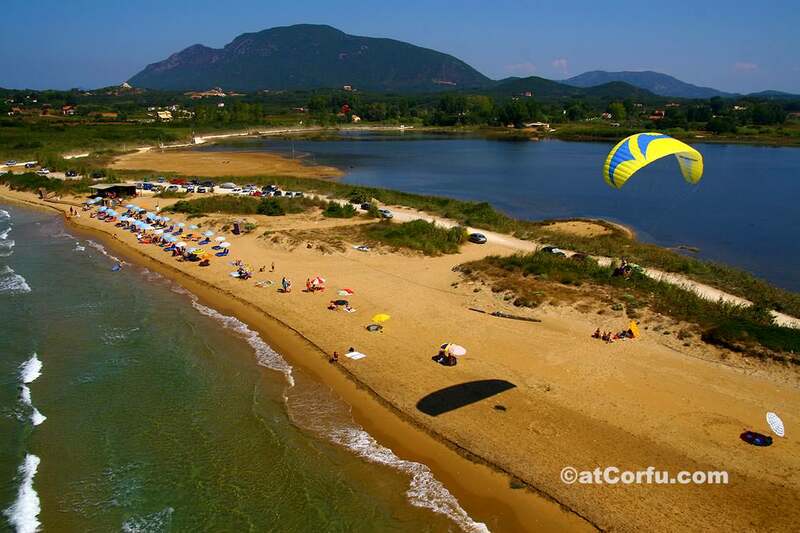 In addition to water sports such as water skiing and paragliding, mini-motocross races are often organized, the up and downs of the ground are helping. 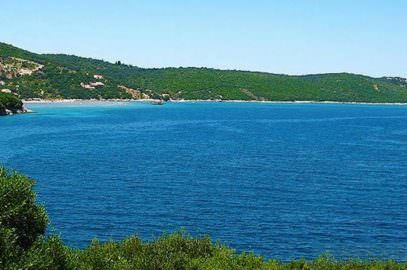 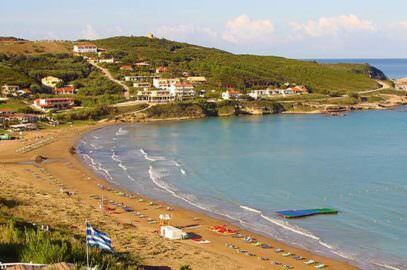 Halikounas is a beach that you definitely must visit, you will feel closer to nature and you will easy leave behind your flat everyday life.